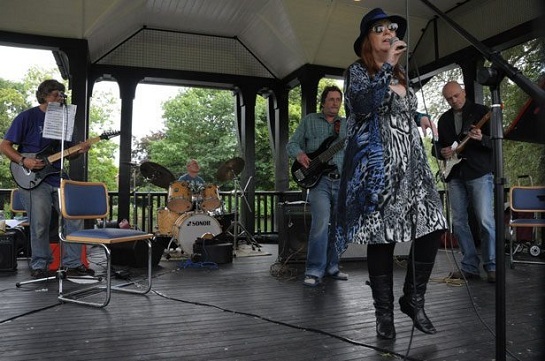 "RoXi and the Blue Cats are a 5 piece blues / rock band playing an eclectic, raunchy and dynamic mix of sizzeling hot to chilled out old and new mainly blues / rock covers and original songs with shades of jazz, country or anything else with a blues vibe." 1. Is there a story behind your song "When Baby Gets The Blues"? The track was written by our bass player Phil Plant who has had an interesting life, I suspect there is a story behind the song, but if so, he hasn't divulged it to us!! 2. Describe your music in 3 words. 4. What do you think of episode 116? Which of the other featured songs do you like the most? If tomorrow was the end of the world we'd still be playing the blues!